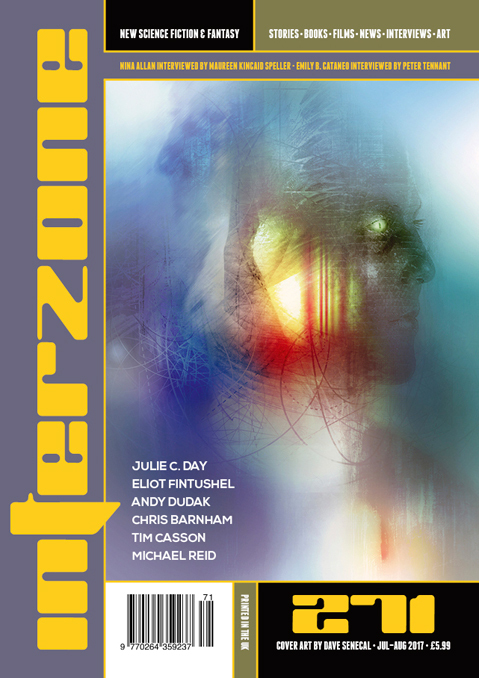 "If Your Powers Fail You in a City Under Tin," by Michael Reid [bio] (edited by Andy Cox), appeared in Interzone issue 271, published on July 15, 2017 by TTA Press. Pro: The plot is straightforward: Jun masters his power and saves Riel. Con: The rules of Jun’s power seem unclear. Up until he carries Riel through his portal, we’ve been sure that it can’t be done; that Riel would just disappear the same way Jun’s mother did. That makes the big event a letdown.